Eastlake 6 is a six-townhouse, 4-Star Built Green community located on a sloped mid-block lot in Seattle’s Eastlake neighborhood. To provide privacy and sound insulation, windows and openings are limited on the façade facing Boylston Avenue and the I-5 Interstate. 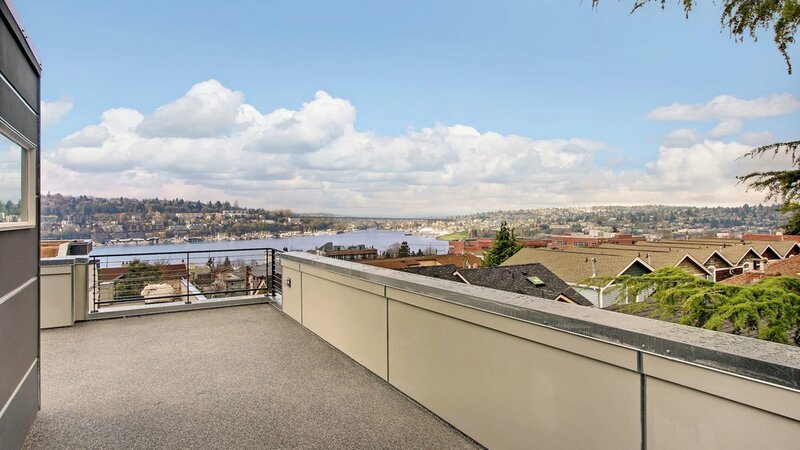 Large windows along the units’ western side maximize light and opportunities for views of Lake Union, Downtown, Queen Anne, Fremont and Gas Works Park.